The purpose of these guidelines is to provide sufficient guidance and useful tools for any member of INEBRIA that would like to host the annual conference on what needs to be done to submit a proposal. to ensure a successful conference, and to advance the aims of the network. This document is divided into 4 sections and includes links to all required forms. Who do you talk to at INEBRIA? Who can be an INEBRIA conference organiser? The Coordinating Committee (CC) will issue periodic calls for interest in hosting the annual conference. INEBRIA members interested in hosting a Conference should informally discuss their ideas with CC members, and then fill out the Pro-Forma (Annex 1) and the budget outline (Annex 2). These should then be sent to INEBRIA Secretariat inebria@gencat.cat (normally at least two years prior the conference) to be evaluated by the CC in the course of any of their 4 quarterly meetings. The CC reserves the right, if necessary, to ask for more details from those responsible for the proposal, or to suggest alternative years. Before submitting, it is highly recommended that these guidelines be read carefully to make sure that the terms of agreement are clear. Since INEBRIA is a non-profit organization and it does not collect fees from its members, please have in mind that INEBRIA shall not be liable to cover any of the cost of the conferences, so the local organization should be able to cover any deficit resulting from its organization. In case of benefit, the local organization commits to transfer half of the benefits to the treasury of INEBRIA (account registered in Barcelona). The CC evaluates proposals according to set criteria ( details can be found at – Annex 3) and attention is particularly drawn to how the proposed annual meeting will advance the aims and objectives of the INEBRIA network, and the capacity of the institution to have a well considered budget taking account of the uncertainties involved in hosting an event (e.g. attendance numbers). As soon as the proposal is approved the organisers will be informed by the INEBRIA Secretariat and requested to confirm that they accept the role of organizing the conference. The place and approximate dates of holding the event will be announced as soon as possible on the website of INEBRIA. If the local organizer encounters any difficulties following through with the plans, it is important to notify the Secretary of INEBRIA as soon as possible. 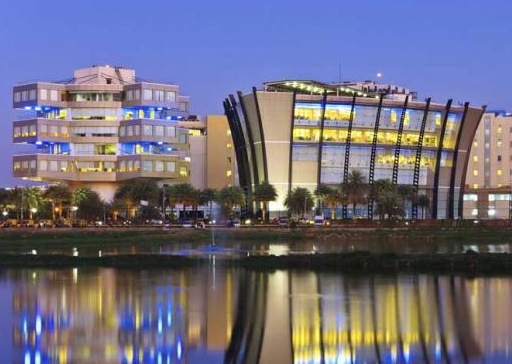 It is recommended the Conference to takes place around fall each year (beginning of September – beginning of November). When possible, the conference should start on a Wednesday afternoon with the Co-ordinating Committee meeting and a welcome reception and finish on Friday afternoon. It will normally include a social dinner on Thursday evening. Please, when possible, avoid fixing the dates in conjunction with similar or competing conferences all around the world, by checking for announcements. There should be a team of 4 of 5: one academic member acting as chair and taking overall responsibility, two other academic members and two administrative staff, one responsible for finances and another responsible for more logistical issues. Additionally, you should decide whether or not to use a local professional company, making sure that they can support you throughout the whole process, especially in the registration and payment matters. The theme, topics and the scope of the conference have to be decided as soon as possible in order to start planning the scientific program. This should be discussed with the CC. The purpose is to attract people to the meeting to discuss issues that reflect the interests of our community, are important, exciting and forward looking, and which also balance traditional INEBRIA areas of interest with new or interdisciplinary areas. Please, make sure that the topics are in line with INEBRIA’s objectives (for details, go to Annex 4). It is recommended to designate a financial lead as early as possible in order to prepare budget, look for funding among the available public/private sources, ask for quotes and make arrangements for a bank account, credit card payment facilities, procurement, and taxes). For a conference hosted by external funders you should organize a bank account established for that purpose and designated as the “INEBRIA Conference” account (only if the conference is fully supported by funders) and organise a method of payment for delegates (e.g. PayPal for online payments). The fees should be the lowest possible to cover the costs (see example below). The registration tool should include diverse fee categories. Reduced fee for developing countries. Do not forget to provide the option of on-site payment option and cancellation terms and instructions. Wave registration fees for INEBRIA Secretariat staff, CC members and invited (Plenary) speakers, if possible. Local organisers should approach suitable (public or private) institutions, companies, etc. in order to set up a relationship and encourage funding and co-sponsorship. The INEBRIA Secretariat can assist you in obtaining it but please note that WHO co-sponsorship does not imply funding, but rather support and visibility (use of logo). WHO co-sponsorship implies the active participation of WHO in the planning and organization of a meeting convened by an outside body and the term “co-sponsorship” should only be applied to meetings of this description. Decisions on proposals that WHO should co-sponsor a meeting are taken by the assistant director-general or regional director concerned. Note that raising funding from Pharmaceutical companies might interfere with WHO co-sponsorship, which is why this issue is enquired about in the initial pro forma, please consult with CC for advice in this area. Please also note the INEBRIA position statement on the alcohol industry (for details ,go to Annex 8) and consult with the CC if there are any uncertainties about the suitability of a possible sponsor. When running a conference, you will negotiate contracts with various service providers, such as hotels, convention centres, meeting-management services, catering etc, and it is key to have always in mind your conference requirements when negotiating a contract. Each conference negotiates the “Terms of Sale” (such as the number of sleeping room nights, room rate, meeting space, etc.) with the specific provider. A “ Cancellation of Event Insurance Policy” shall be purchased, if and when feasible, to cover the loss of revenue due to cancellation, interruption, postponement, or failure to vacate the premises in the event caused by circumstances beyond control of INEBRIA such as, adverse weather, labour strikes, etc. This insurance policy should also cover additional expenses that would be necessary to re-schedule or postpone the Conference for no more than (60) sixty days. It is advisable to also have a Contingency Plan, to cover unexpected events. Before the conference begins, prepare a plan for unexpected events, also known as a contingency plan. Emergencies that might occur include: natural disaster, unexpected illness, injury or death, or political unrest. This plan should include ways to communicate with key personnel and coordination with on-site support resources and local authorities. The plan should be reviewed with all volunteers staffing the conference prior to its start. The process of selecting the venue should begin well in advance of the dates the Conference is to be held. It is recommended to have preliminary costings from a candidate venue when applying to host a conference. It is highly recommended to host the conference at a health, scientific or academic institution (Health Department, University, etc.) or other public or community venue, known for innovative content. Universities offer the advantages of space and cheaper facilities such as meeting halls, small meeting rooms (CC Meetings, etc) and inexpensive menus for catering services. If this is not possible, consider organizing it in a hotel. In big cities with an airport with good international flight provision, hotels are more than adequate to hold a conference. They should be well situated in the centre of the city, not on the outskirts. This has advantages for evenings and for accompanying persons, who will do some sightseeing, shopping, etc. The size and number of meeting rooms is an important factor when selecting a venue. Conference attendance projections fluctuate and require that seating be provided for a minimum of attendees. 2 or 3 additional parallel meeting rooms. Exhibition space (for posters and sharing booklets or additional information). The registration form has to be prepared by LOC and provided through the website with electronic forms. Special attention must be paid to create an international registration form useful for professionals from different countries, so make it as simple as possible and use mandatory fields only when necessary. In the case of accompanying attendees it is probably better to have a separate charge for each event (e.g. social dinner) than an overall “Accompanying Person’s Fee”. The payment of the registration fee will be done to a local bank account to be set up by local organizers. You should determine which payment options you will accept (e.g. cheque, visa, MasterCard). Seek the advice of the Secretariat about the handling of registrations associated with requests involving visas. The best option should be to find hotel facilities within the range of 3 or 4 stars, and not too far away from the venue (maximum 10-15 minutes walking distance), at the lowest rates you can obtain after negotiation. Please inform participants that they are responsible for booking their own accommodation, though plenary speakers will need to have their rooms pre-reserved. Hotel room booking procedures with lists of services and prices should be available on the website. Prior to conference, hotel or convention centre management staff must be contacted to ensure that all meeting and facility arrangements previously agreed upon will be ready. There should be Tea and Coffee at registration, mid- morning, and afternoon and a buffet Lunch. Ensure that special dietary requirements based on religion, health or any others are given to the caterers in advance. If funding makes it feasible, the Welcome/Reception will take place the day before the conference. The Social Dinner should cost max 50 € /participant, and it is advisable to find a location/restaurant which could offer the attendees an experience of the locality. It is also key to make sure that the information about the venue and how to get there has been properly provided. First announcements should be made through INEBRIA website as soon as possible and distributing a brochure during the previous conference. The dedicated conference website should be ready at least 9 months prior to the conference dates. 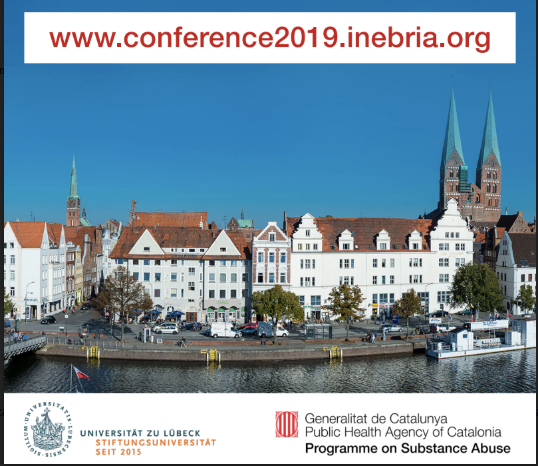 It will be important to send regular emails with updated information on the conference preparation to all INEBRIA members and also to create with the help of the secretariat a conference site (see examples by clicking here example 1, example 2) ) and to update it regularly. Other information of interest (transportation, moving around, touristic info). It can be very useful to create a communication plan; create key messages and other written material about the conference and identify scientific journals and websites (local and international) to advertise the conference. Create an email address list specifically for conference – use this shared box for all communications. Use a shared directory for conference – no work to be saved anywhere else. Communications should be devised in accordance with the established theme and all information used to publicise the event must be complete and accurate to eliminate unnecessary enquiries. Nowadays, it is essential to manage conference use of social networks; set up a Facebook page, and create Twitter/Whatsapp account could be advisable. It is most useful to have a specific email account to get all the information to and from the event. It will be necessary to have PC with internet connection and other services such as projectors, microphones, switches available for PCs and laptops. Arrange that appropriate equipment and supplies are available and in adequate quantities, not to mention equipment repairs, if and when required. Microphones are often a nuisance and therefore must be strategically placed and their efficiency checked and rechecked. A portable (or fixed) microphone must be available for plenary speakers and two/three others may be needed for questions. A good laser pointer must be available for the presenter. It is also very important to ensure free WIFI access for all participants. To facilitate conference organization it is advisable to elaborate a check-List indicating all the duties (who does what and by when). Members of the Scientific Committee (SC) should be invited by the LOC. The SC is responsible for drawing up the programme on behalf of the Coordinating Committee (CC) for each annual conference, with the local organizer of the annual meeting as chair. The SC and the CC will decide the broad outline of the conference (e.g. theme, invited speakers, etc.) but leave the details to the local SC. This SC will report regularly to the CC. In all cases, the scientific or programme part should be under the complete control of the INEBRIA organisers. The main organizer of the forthcoming annual INEBRIA meeting will be co-opted into (participate in all meetings of) the INEBRIA CC during the period in which the meeting is being organized. Abstracts on any aspects of brief interventions for alcohol or other drugs useare welcomed. Note that any improvements or adaptations, depending on the local needs, are always possible, and INEBRIA Secretariat can work closely with the LOC on that. The call should be open from 1st February until the end of April, with a 2-week extension possible. Variations to this calendar might occur if the conference does not take place within the usual dates. Announcement to INEBRIA members by e-mail and through the website are essential. Authors should be required to declare COI when submitting abstracts (for instructions and forms, go to Annex 11). Collection of abstracts through the existing forms is saved in a database that later on will be used to organize the revision of the abstracts and the program. The abstract review process involves members of the SC being invited to review the abstracts for quality and acceptability. Ordinarily, most or all abstracts should be deemed acceptable for poster presentations. Two reviewers should review each abstract independently and in those cases where discrepancies are found a third reviewer should be invited to arrive at a final decision. Instructions( to consult, go to Annex 12) and forms will be provided to reviewers. The database facilitates the management of the revision process. Once final decisions are made, authors should be informed about the decision on their abstract. Diversity in plenary speakers is encouraged. One primary source of speakers could be from within INEBRIA. Other sources include: members of other professional organisations, universities and colleges, government agencies and other recommendations made by the Scientific Committee. The Chair or a member of the organizing committee should invite the speaker by phone; obtain commitment from the plenary speaker in writing (e-mail is acceptable); and request a working title. INEBRIA does give free registration to all Invited Speakers regardless of their affiliation. Invited Speakers are also invited on a complimentary basis to all special events held in conjunction with the conference. There is a different procedure for the Annual Nick Heather lecture, who is selected by the CC according to set criteria (details at Annex 13). After review of the abstracts, scheduling of the program begins. The first step is to schedule the plenary speakers, followed by the symposia and workshops. This forms the skeleton for the scientific program and allows the themes to be highlighted. The accepted oral presentations need to be combined into coherent sessions. In each session, the presentations should be ordered from first to last. Finally the poster presentation session should be scheduled. The SC should select session chairs to introduce speakers and manage the sessions. It is recommended to invite local or relevant experts participating in the conference to do so. Clear instructions should be provided to them informing about the need to promote discussion as much as possible. All these sessions have to be put together in a preliminary program with titled sessions, including meeting room assignments and that has to be circulated for final review and approval by the CC. In addition the SC provides a Program Overview which is a list of meeting topics along with program and meeting rooms are assigned. The preliminary program is circulated for final review and approval. In order to keep the timeline of the event, reminders providing the scheduled time for the presentation must be sent out to all speakers. Presentations should be kept in the same order as shown in the conference programme. If changes have to be made, these should be done at least one week prior to the presentation so the speakers and audience can be informed of the change (this is to allow individuals wishing to attend sessions for particular presentations to hear the presentation they selected and not miss it due to a time change). Upload the scientific programme on the web as soon as possible: if possible the preliminary version by the beginning of July and the final one by the beginning of September. The registration desk should be clearly signposted and very accessible. It is essential to avoid queues, thus it is advisable for registration to open early, the day before and if possible to distribute registration documents to the delegates’ hotels in advance. On the first day several people should manage the desk, and the rest of the time at least one person should take care. A list of attendees should be prepared in alphabetical order listing the full name, affiliation, professional address and payment status. Have in mind probable payments on site. Have blanks receipts and a facility for cash/cheques to cover them. Badges (preferably, slightly smaller than the holder). Additional tickets (e.g. dinner, workshops). Additional (tourist) information with map and information in how to get to the hotel and to the venue. List of emergency telephone numbers. Giveaway and other material; these may be in the form of pens, memo pads, bags calendars.Have staff telephone numbers and taxis numbers always on hand and do not forget to put together a set of elements to facilitate your work at the registration desk (note pads, paper, sticky notes, pens, pencils, and scissors). Do not forget to have blank badges and spare programs.All rooms must be verified beforehand to ensure that adequate lighting, heat and ventilation are available. At the entrance of the meeting area display a large map. Using colour-coding show the number of the rooms used for the meetings. Signposting, preferably colour coded, must be clearly visible. There should be signs at strategic points indicating the direction of the main meeting room, the exhibition hall, the toilets including toilets “accessible” to wheelchairs. It is also very important to have a First Aid Kit, located in a very accessible place. You will also need to have a lap top computer to either use online or with relevant documents downloaded. Finally, use a wipe board for messages. A photocopying service might be necessary. All rooms must be verified beforehand to ensure that adequate lighting, heat and ventilation are available. It is also essential to check that the audiovisual equipment works properly. A preparation room is needed for speakers to check their presentation on computer. This room must be supervised by the audio-visual staff. In each meeting room, do not forget to create folders for each session to hold presentations together and facilitate saving them. During the breaks, the speaker(s) of the following session should be briefed on all the audio-visual controls. There is a need to provide time prior to each block of sessions for speakers to get their presentations loaded, etc. Make sure that all the necessary programs are available. It should also be mentioned when people can come with their own laptop. The evaluation questionnaire (see Annex 14) is given on arrival and should be filled in in-situ by all participants. It covers all aspects of the event (logistics, overall impression, impact, benefits, general feedback, specificities, etc) and it helps INEBRIA to improve the organization of conferences every year. Modifications and adjustments to conference needs are welcome. Note that in order to encourage responses, conference certificates (for Attendance, Chairs, Presentation and Oral Presentation), will be given to the participants once they had filled up the questionnaires. In order to close administratively the conference you should pay final invoices, send any receipts, distribute any funds, close bank accounts and submit final financial reports to sponsors and to INEBRIA CC. Send letters of thanks to speakers, sponsors, supporters, speakers, dignitaries by e-mail as appropriate. Prepare and distribute minutes of any official meetings and make financial reports to sponsors. Publications arising form the conference are strongly encouraged. Any proceedings or journal issues with abstracts or collections of papers must be approved by INEBRIA CC. Requests for approval should be submitted to INEBRIA Secretariat, who will coordinate the request. The SC is responsible for the production of all material that is published in relation to the conference. The publishing process includes providing authors with formatting instructions as well as managing all the details of finalizing papers for publication and submitting them to journals. Do not claim or guarantee that any abstracts will be published. INEBRIA can decline to publish the conference proceedings that do not meet quality standards. Do not claim or guarantee that any abstract will be indexed in any database. Indexing services evaluate conferences and independently determine what they will index. If you decide that non-presented abstracts will not be published you must clearly communicate this to authors prior to the conference.